Despite the public image of fossil hunters as macho men with pickaxes, many women have made important contributions with their fossil discoveries. 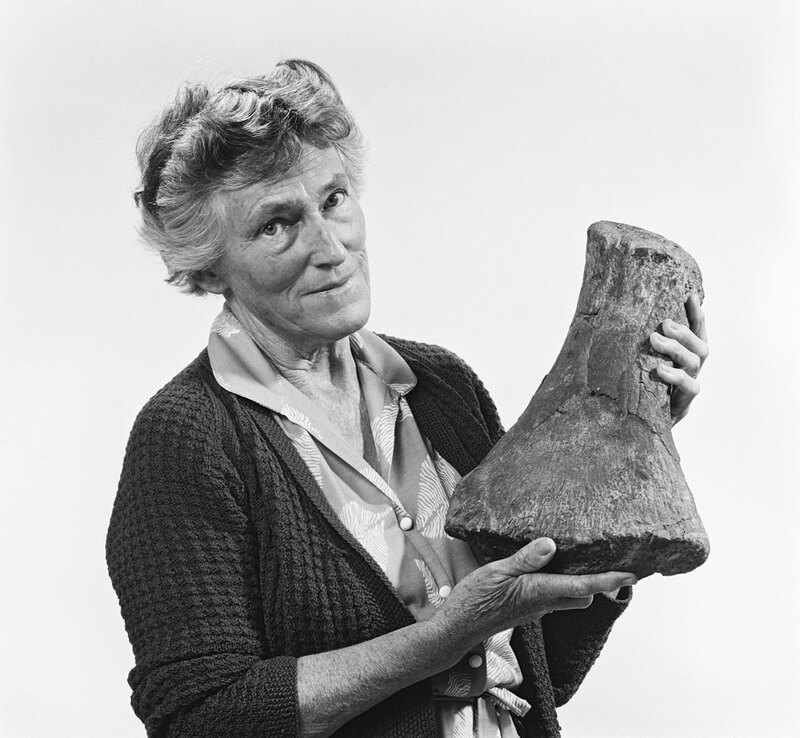 Scientist Lara Shepherd looks back at some pioneering female fossil hunters. 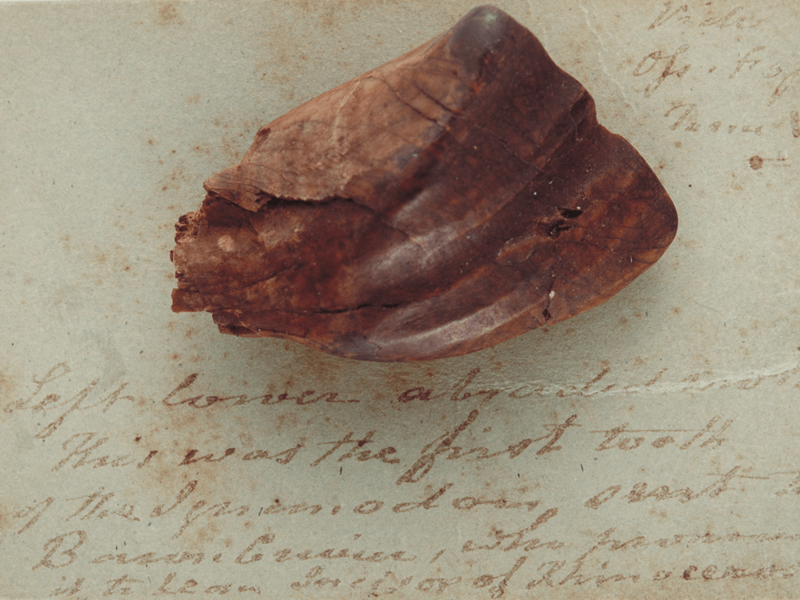 Arguably one of our most important objects at Te Papa is this fossil dinosaur tooth from Sussex, England, widely thought to have been found by Mary Ann Mantell. 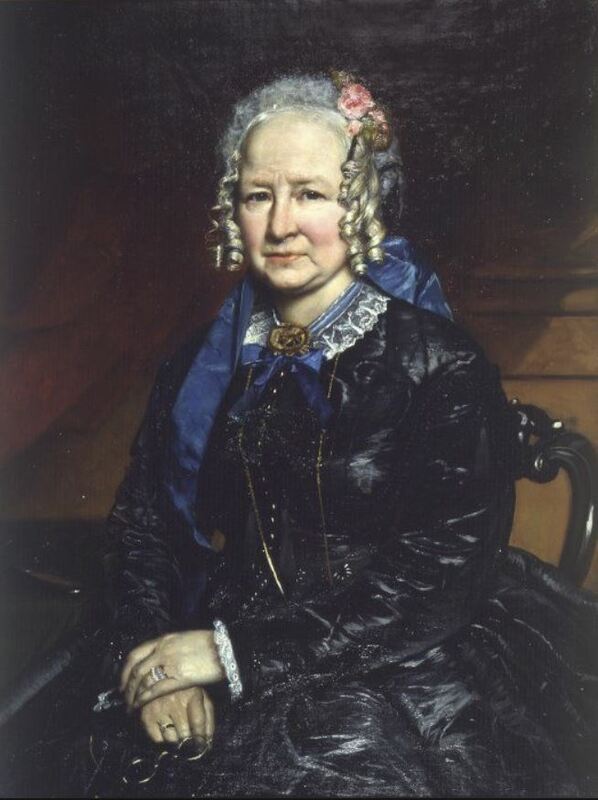 Mary Ann used to accompany her husband Gideon, who was a doctor, when he visited patients. Legend has it that in 1820 Mary Ann was waiting outside for him to finish with a patient, when she found this tooth amongst the gravel on the road. However, who actually found the first tooth is somewhat confusing. Gideon subsequently wrote that he had at least six teeth, ‘several found by his wife’. In later records Gideon attributes the first find initially to himself and later to Mary. 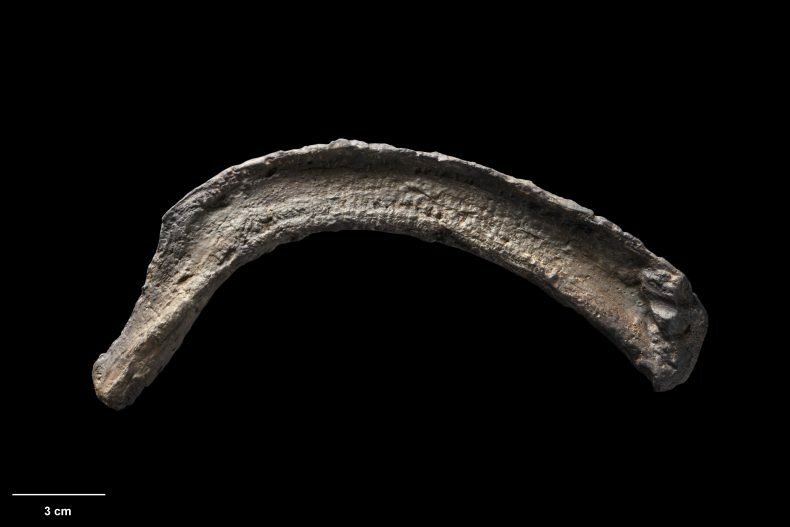 Regardless of who first set eyes on the tooth, it was a significant find because it was one of the teeth used to describe one of the very first dinosaurs. In 1825 Gideon named the animal it came from Iguanodon (because its teeth most resembled those of iguanas). Mary continued to contribute to Gideon’s work by illustrating his first book The Fossils of the South Downs. 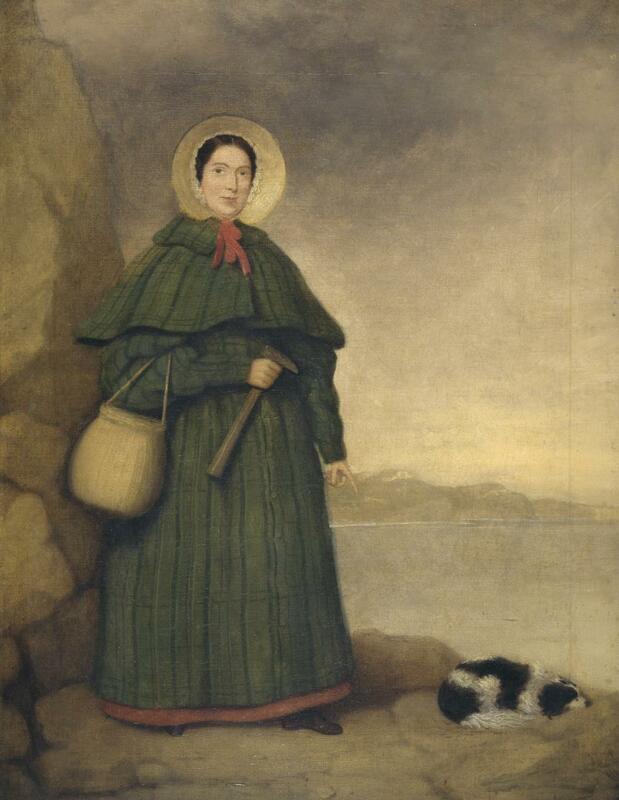 Mary Anning was a fossil hunter, and seller in the early 19th century, and was thought to have inspired the children’s rhyme ‘she sells sea shells by the seashore’. Her surveys of the Dorset coast in England resulted in many important discoveries including fossils of an ichthyosaur, plesiosaurs, and a pterosaur. Mary didn’t have a formal education in paleontology. At this time women were not allowed to vote, let alone attend university. However, Mary gained a vast knowledge of fossils through reading scientific papers. Despite Mary’s knowledge and discoveries, many of her important fossils were published by the men that purchased them off her. Mary was often not even acknowledged for her discoveries. It was many years after her death before Mary’s achievements were fully recognised. In 2010 the Royal Society listed her as one of 10 British women who have most influenced the history of science. Prior to Joan Wiffen’s discovery of a dinosaur fossil, it was widely believed that New Zealand never had dinosaurs. Joan was made to leave secondary school early by her father who believed higher education was wasted on girls. Although she had no formal training in paleontology, she developed an interest after buying a trilobite fossil in Australia. After much research into locations in New Zealand most likely to yield dinosaur fossils, and many fossil-hunting trips with her family, Joan found a marine reptile fossil in the Mangahouanga Stream in Hawke’s Bay. The site yielded many more fossils, and in 1975 Joan finally found her coveted dinosaur fossil – that of a theropod dinosaur. Joan and her colleagues later went on to find at least three kinds of carnivorous dinosaur, three kinds of herbivorous dinosaur, a flying reptile, and many other fossils. Thankfully, women’s rights had been advanced since Mary Anning’s time and Joan was recognised for her scientific contributions during her lifetime. Joan was awarded an honorary DSc in 1994 by Massey University and a CBE for services to science in the 1995 New Year’s Honours. Although most of Joan’s fossils are held at GNS, one fossil and several casts of Joan’s original fossils are held in Te Papa’s collection. The above women are inspirational because of their achievements, despite their lack of formal training. If they had been given the same opportunities as the male paleontologists of their time, what else might they have achieved?